At Fitz Equipment, we pride ourselves on providing our clients the very best of shop torque converter repair services. We are vigilant to ensure that we minimize your downtime as much as possible by ensuring that our converters and component parts get to you on time from anywhere in the world. The basic converter, type “F”. Optimum torque obtainable during pinnacle power stipulations. Minimized engine servicing and repair costs. Lesser line sizes needed when pumps are operated by Torque Converter. Utmost flexibility and complete control through the entire load range. Reduces or eliminates shock to equipment. Does not overheat while operating light loads. 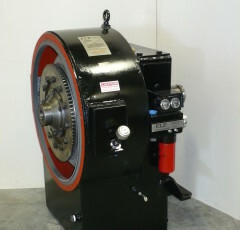 Converter for direct mounting on engine flywheel housing; maybe equipped with heat exchanger oil cooling for the FH model. 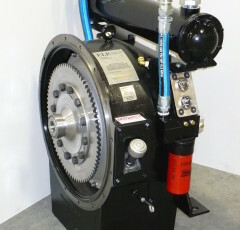 Converter for direct mounting on engine flywheel with an oil piping installed for the F model. Remote mount oversize oil cookers are available for f models with higher horsepower requirements. One pump performs both functions. It is chain driven and easily adjustable. A high capacity flow rate that permits more efficient oil cooling. Accessible from outside of the pump. Both models of the FIP Torque Converter are fitted with a full flow pressure control valve that resists small foreign particles in oil unitized. Their oil filters are easily removable and have an externally mounted spin on type. When it comes to their pressure and temperature gauges, they are easily replaceable since their connections have been made externally and are also shock protected. Long life heavy duty bearings. Interchangeable parts within basic sizes. Low-friction piston ring-type oil seals. Uses regular oil hence no special regular oil is required. They are designed with the minimum number of parts for maximum horsepower transmittal. Centrifugal pumps/stators/turbines/are precision machined, dynamically balanced aluminum alloy castings. For more than five years, we have been manufacturing the same high-quality Torque Converters to ensure that our customers get value for their money. Our highly competent team of qualified mechanics dispose themselves to give our clients satisfactory services in preventive maintenance, on-site field service and troubleshooting, torque converter repair and installation services in a bid to give you quality without question.